This year has been a year of detours. Some not so good. That has left my writing on the back burner. However, things are now for the moment on a new normal road. So I have gotten back to my passion. Putting pen to paper and listening to the voices in my head. 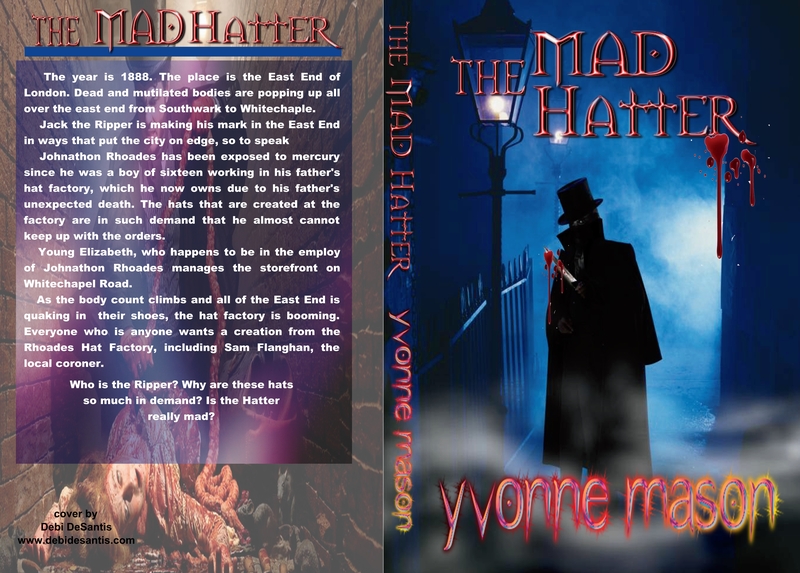 Today my new release The Mad Hatter should go live. Behind that one I am releasing a book of short stories. 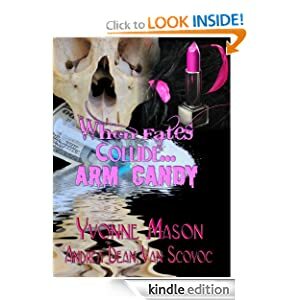 Some have been previously released in other anthologies and some have been stand alones on kindle. The Question is DO YOU DARE? 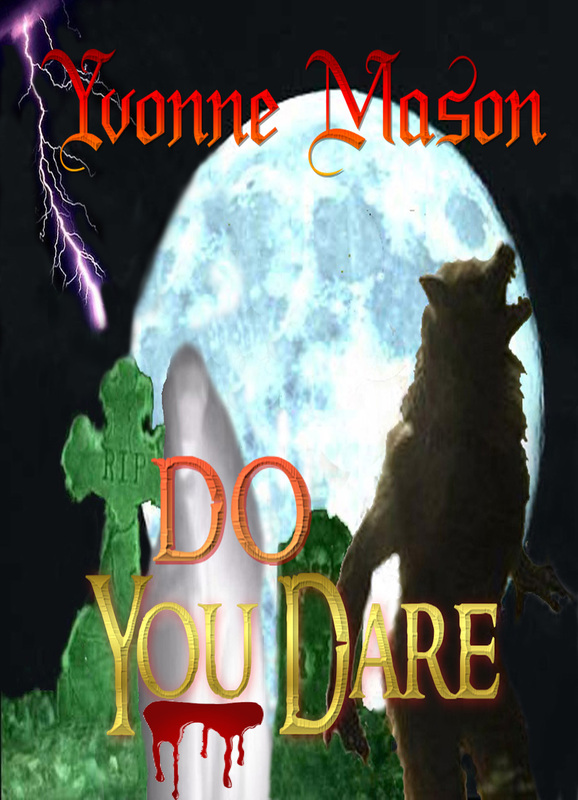 Do you dare read them? Do you dare take the risk of staying awake nights because you can’t sleep after reading them? Do you dare turn the page? You will not be able to answer that question until you purchase the book. Yes, it will be downloadable as well as print. It should be available in the next few weeks. So for those of you who love to delve into the unknown get ready. The unknown is coming. 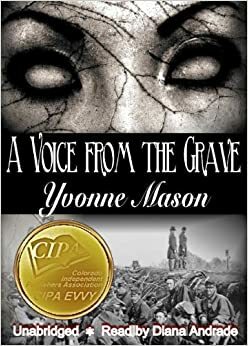 Yvonne takes a classical horror/paranormal concept and ads a creepy-fun twist for any fan of the genre, any reader for that matter. 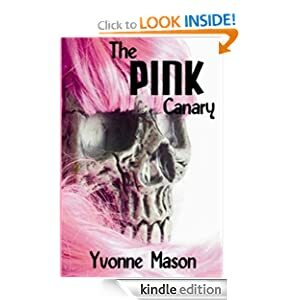 The author truly pulls you into the pages and onto the dark road with Trucker Bubba as his complicated life takes a twisty and freaky turn (for better or worse you’ll have to decide!). Only 4 out of 5 because I was left wanting more! Really, the only problem I have now is which of her other books to read next!? I received this review last night. 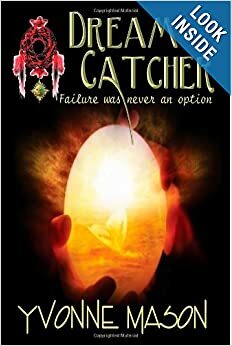 Ashley Fontainne is an indie author with a couple of books under her belt one being Zero Balance. This book will knock your socks off. 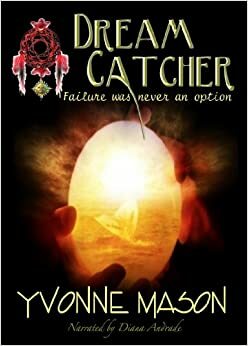 This is the second book that I have had the privilege to read by the multi-talented Yvonne Mason. The first was a true crime novel that downright frightened me because it was based upon a real, breathing monster. 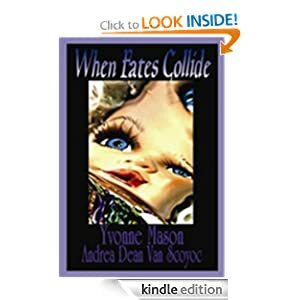 This second story, while purely fiction, lives up to the thrills and packs a quick pace that makes Yvonne an impeccably gifted story-teller. A dark road…a lonely, tired soul not paying attention…and things that “growl” in the night. Combine them all together and you get this fantastic short, Blood Alley. Sometimes, the hero and the rewarding justice they seek isn’t bestowed upon the one that you think! 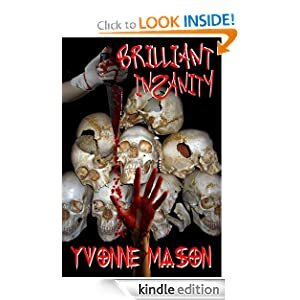 This is a wicked vignette that will leave you dizzy at the end from the twisted ending! Way to go Yvonne! 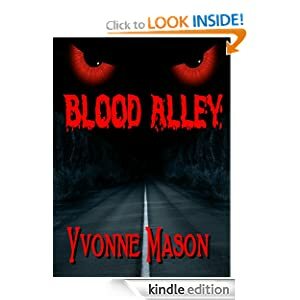 This comment was added to my blog about the five star review I received – on Blood Alley my short story that is only currently available on Nook and Kindle. Ms Luna puts me in the case catagory as Clive Barker which I take as an honor. 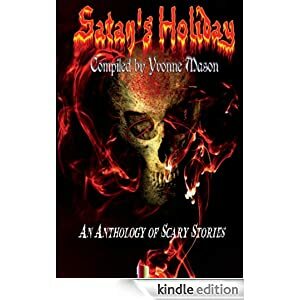 If you haven’t yet read this nice little horror piece you should, if you don’t have a kindle or nook no problem you can download it as a pdf to your computer. 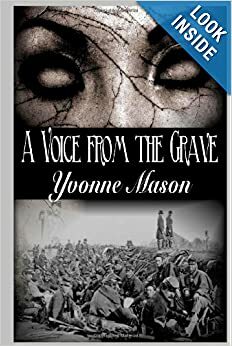 It is only 2.99 and quite a good read. 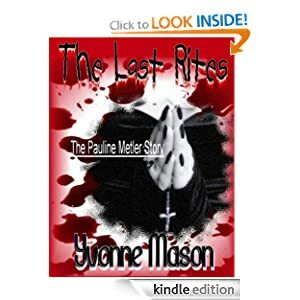 Yvonne Mason’s horror books will be placed right next to my other favorite horror story writer Clive Barker. 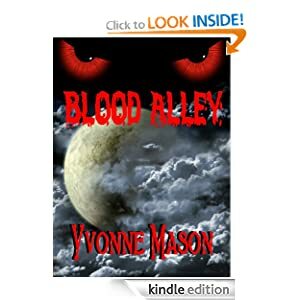 Blood Alley my short story that can only be found on Kindle and Nook has received yet another five star review. IF you are a horror buff and love being scared then this little jewel is right up your alley. Stargazer thank you so much for the review. I have just two words to describe this short Kindle story.. I do not like night driving to begin but no one will ever again catch me venturing behind the wheel after sundown. Horror buff that I am, I really shivered and said brrrrrrrrrrrr as I imagined the scenario. I just Finished The Wolf Gift. I have long awaited for Ann Rice to return to those of us who have read all of her Vamp and Witch Series. The Wolf Gift is quite different in its story. It is a more humbling character, one who not only seeks answers but embraces them. I read with interest the different reviews from the different readers of this new book. Sadly, some choose to make nasty comments when it was not necessary. I have read Ann Rice for years, even when she decided to take a different path. While those books were not my style I understood her need. Now, she has returned to her origianl path on some level. Because I am an author I read on a level most don’t. I read with an open mind and in doing that I find things in a book that many leave behind. The Wolf Gift is not only entertaining it has life’s lesson in the story. If one looks one will find lesson’s of acceptence, greed, fear, love, and even sadness. When I turned the last page, I wanted to know more. I wanted to know where the characters went next, what happened to them. No this is not your Lon Chaney, Jr. Wolf Man, this is deeper than that. It is a book with a soul. 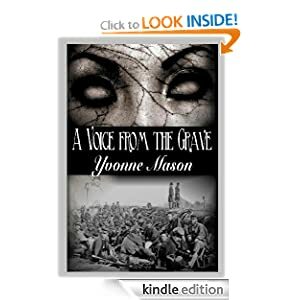 It is a book with heart, in the same way the Vamp and Witch Series have soul and heart. It is more than entertainment, it is more than just characters on a page it is life and all that goes with it. The changes, that we all face on one level or anthor, the insecurities, the pain, suffering and loss, denial, love and even death. The Wolf Gift brought a memory to me that I cherish. I lost my sister to Lukemia last July, when The Wolf Gift arrived in the mail, it brought back a memeory for me in a flood of emotion. 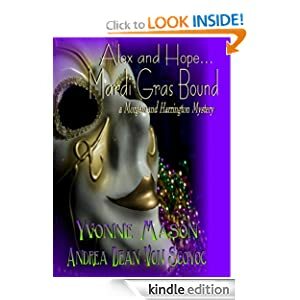 Every year she and I would watch for the next book to be released by Ann Rice. I was not allowed to buy it. My sister would give it to me for Christmas. She would sign her name in the book and the date – but first before she wrapped it she read it. It became a loving joke that at Christmas that she gave me a book she read first. Even if I had not enjoyed the book- the memory was worth it all. Thank You Ann for helping to keep that memory alive. Have you ever wondered what would happen if you stopped in a lonely two lane blacktop in the middle of the night? 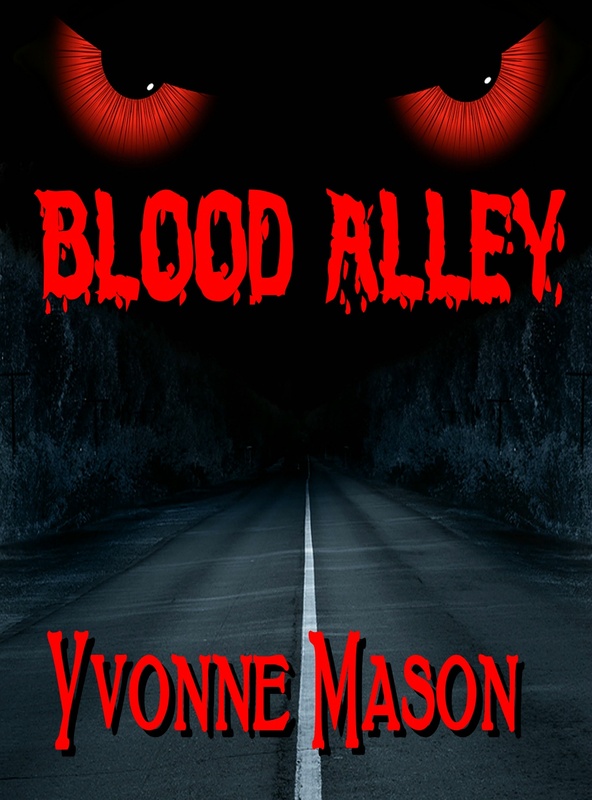 A beer swilling, tobacco chewing, womanizing, long haul wheel holder finds out in Blood Alley A Short Story. 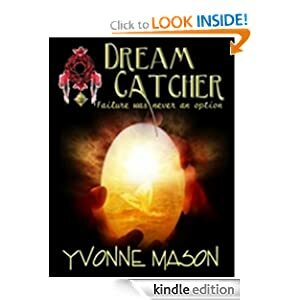 This morning I awoke to find two reviews about my latest upload to Kindle and Nook. Needless to say it was an inspiring morning. 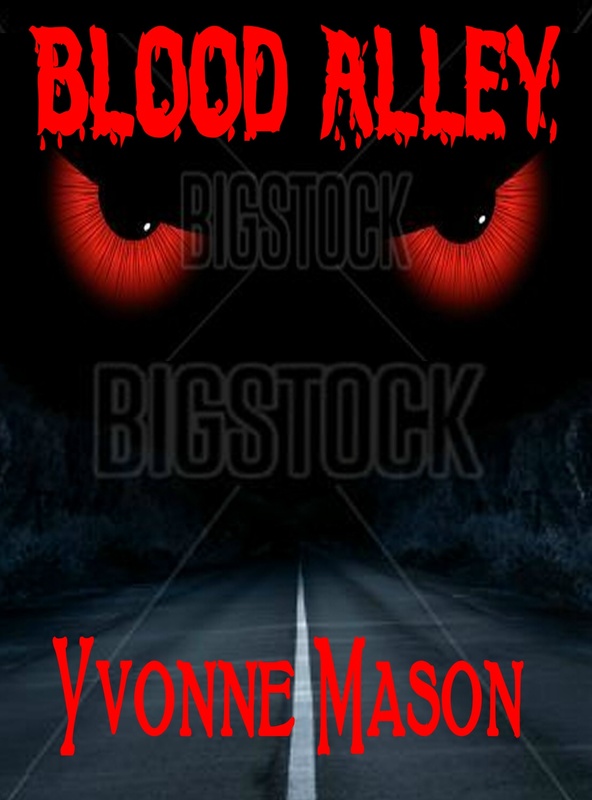 If you haven’t yet downloaded this little short story of horror and suspense wny not? It will make you think twice about lonely two lane blacktops at night, stopping at out of the way roadside resturants and accepting rides from strangers. 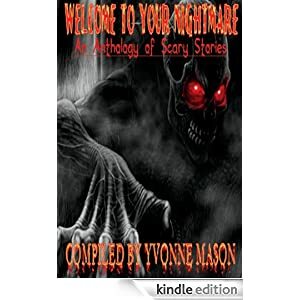 This little short story was first released in 2007 in an anthology of horror stories. Nicholas Grabowski was also one of those authors. If you don’t remember Nicholas he was the one who made Michael Myers famous in the Halloween 13 movies. The book is now out of print, but my story is not. 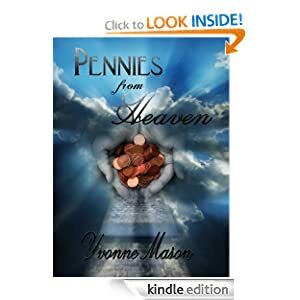 So let your fingers do the walking and run over to Amazon and Barnes and Noble and order this little sweett story for only … wait for it…. 2.99. I am seriously considering making it a full length book, so you will have the jump on your friends by ordering it now. 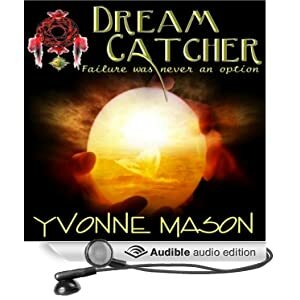 Once again Yvonne Mason takes you to the edge with this new very scary short story. I will never travel on lonely highways again!!! 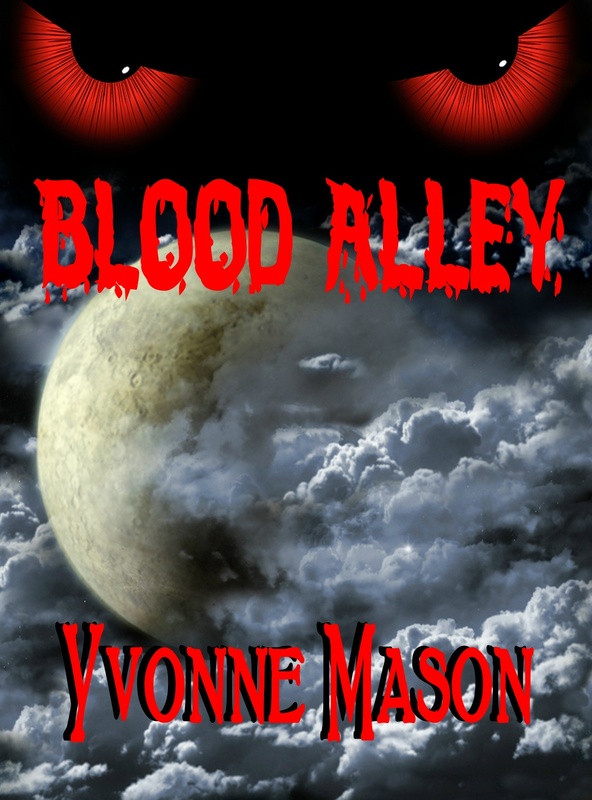 Blood Alley will set you hair rising on the back of your neck. 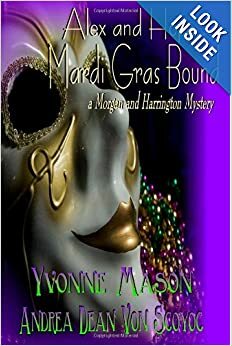 Yvonne Mason has a knack for painting a word picture of the characters and setting for this tale of what might be happening on a lonely road late at night. Even when it appears that the trucker has reached safety, his very being is imperiled. I thoroughly enjoyed it, and I want to read more from this author. Well worth it.